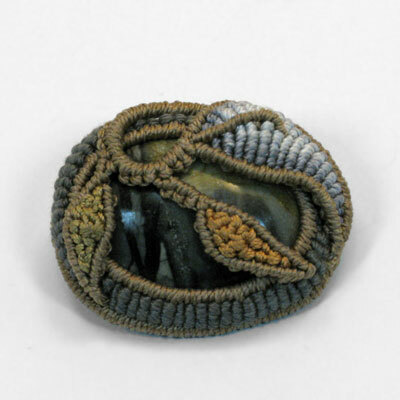 Brooch: 1 1/2 inches by 1 1/4 inch. Silk filament and floss. Nylon cord. Copper armatures. Leather lining.